I had planned to get this post up yesterday but after a busy day crafting with Hillarys Blinds, I didn’t quite have time. But better late than never right?! Today’s DIY is one that is so easy to do, but it’s been on my list of things to do for a very long time! Does anyone else always put off the easy things? Anyway, I’ve tried to show you how you can easily jazz up any of your old clothes just by adding some gem embellishments. It’s super easy to do but can make a big difference, and those of you who are magpies like me will love the effect. 1) Start by ironing any creases out in your skirt, this will make sure that the embellishments are definitely even when attached. 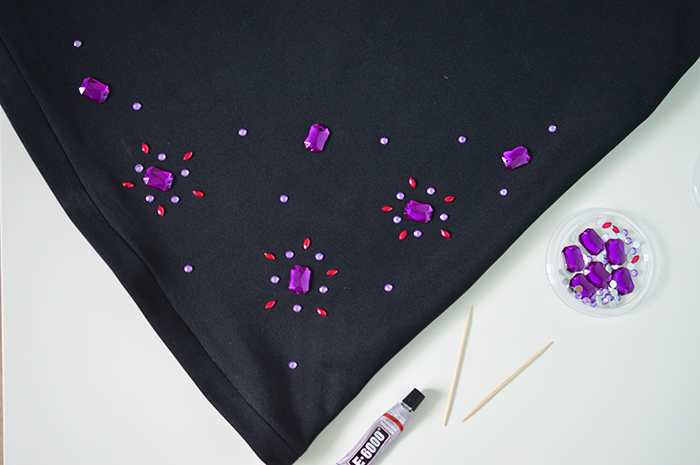 2) Lay your gems on your skirt in a nice pattern. This is definitely trial and error and may take some time before you get it how you like it. I did it in size order by placing the larger gems first, then the medium ones and then the smaller ones to fill any gaps. I also tried to make my pattern symmetrical to please my OCD side. 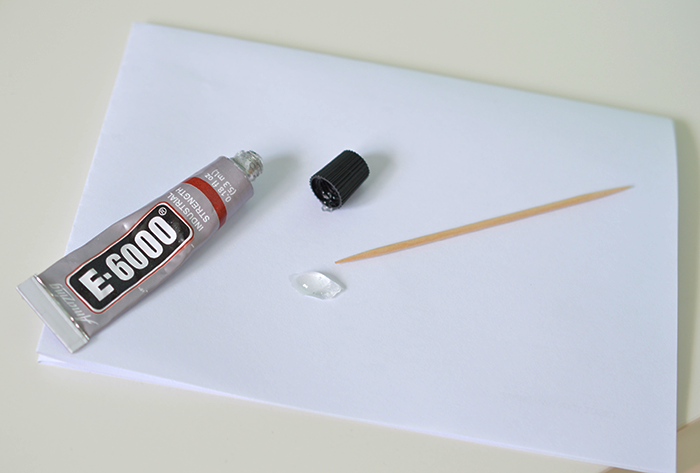 3) Put a small bit of glue on a piece of paper and then use your cocktail stick to apply it to the back of your first gem. 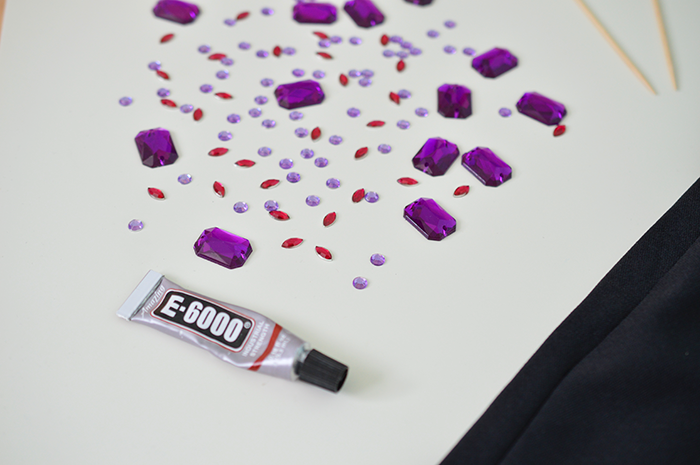 Stick it down in its position and then repeat the process for the remaining gems. Easy peasy! !